In 1652, Sara travels to Whisper where she meets the ruggedly handsome leader of the local werewolf pack. Nathaniel recognizes the curious young vampire as his mate and pursues her in a way only a werewolf can. After a brief but passionate courtship, she accepts his proposal, despite her family's dislike of his kind. 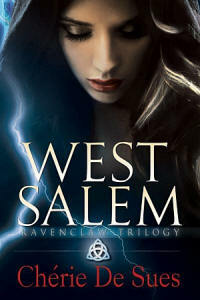 Sara and Nathaniel's marriage is destroyed when her manipulative parents place them under a curse. Sara has no memory of Nathaniel, who has been turned into a statue in the town square. Every night he comes alive, but cannot leave the area in search of his love who has been taken back to England by her family. 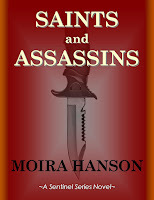 Centuries later, after a life of intense study and travel, Sara is drawn back to the small New England town. Ignoring protests from her family, she returns to Whisper where she takes a job at the library. After hours, the statue in the lobby of a handsome man in colonial dress comes alive and claims that Sara belongs to him. In spite of her terror, she is aroused by the man and inexplicably drawn to him. If Sara's love is true, she can break the curse. If it's not, Nathaniel will spend eternity imprisoned by magic, betrayed by the woman who stole his heart. In 1652 young vampire Sara Chancellor and her parents travel to Whisper, Massachusetts, to try and convince her uncle Edmond to return England with them. Her uncle, along with other supernaturals, founded the colony of Whisper, where creatures like them can live among humans in relative peace. As vampires, Sara’s father Robert and her mother Emily think this is an abomination since humans are food, and you don’t play with your food. Also being vampires, all these other supernatural creatures were beneath them. Edmond tried to explain to his brother that this is the way of life he has chosen, and he wanted to show his brother first hand what it’s like. At a dinner party thrown to introduce them to the other paranormal species, Sara meets her first werewolf, a barefoot Nathaniel Pritchard. She was mesmerized from the moment he walked in. There was a wildness about him that drew her in, and Nathaniel felt the same pull towards Sara. Sara and Nathaniel’s love story is bittersweet because they found love in 1652 then were torn apart by her selfish, controlling parents. Sara lost all memory of him and Nathaniel was cursed to be a statue during the day and wolf at night. This reader understood the anguish Nathaniel was going through and knew that he would wait forever for her to come back to him. Whisper: Bronzed brought out many emotions while reading it, when they were forced apart by her parents, this reader felt the sadness of love lost. When they found each other again you knew the happily ever after was at hand. This was a pleasant read, a bit slow in parts but it still kept me interested.